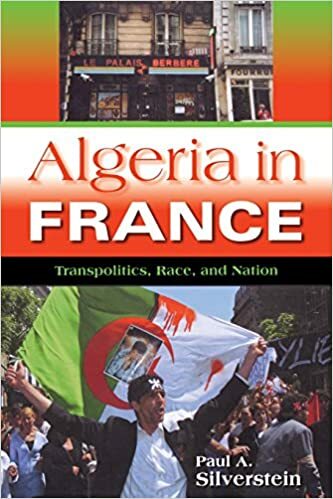 Algerian migration to France started on the finish of the nineteenth century, yet in contemporary years France's Algerian group has been the point of interest of a transferring public debate encompassing problems with unemployment, multiculturalism, Islam, and terrorism. during this finely crafted historic and anthropological research, Paul A. Silverstein examines a variety of social and cultural kinds -- from immigration coverage, colonial governance, and concrete making plans to company ads, activities, literary narratives, and songs -- for what they display approximately postcolonial Algerian subjectivities. Investigating the relationship among anti-immigrant racism and the upward push of Islamist and Berberist ideologies one of the "second iteration" ("Beurs"), he argues that the appropriation of those cultural-political initiatives by means of Algerians in France represents a critique of notions of ecu or Mediterranean team spirit and elucidates the mechanisms during which the Algerian civil warfare has been transferred onto French soil. 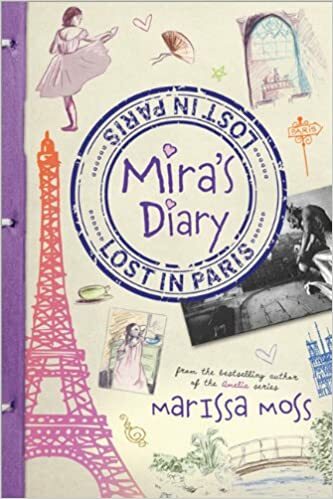 While Mira gets a cryptic postcard from her lacking mom, she units off together with her father and brother to discover her in Paris. in simple terms Mira doesn&apos;t recognize she&apos;s taking a look within the unsuitable century. With an blameless contact to a gargoyle sculpture at the roof of Notre Dame, Mira is whisked into the prior. There she learns her mom isn&apos;t simply fending off the family members, she&apos;s in deep trouble. Following her mother&apos;s clues, Mira travels via time to aid swap background and convey her mom home. Observe the liberty of open roads with Lonely Planets Frances most sensible journeys, your passport to updated suggestion on uniquely encountering France via automobile. 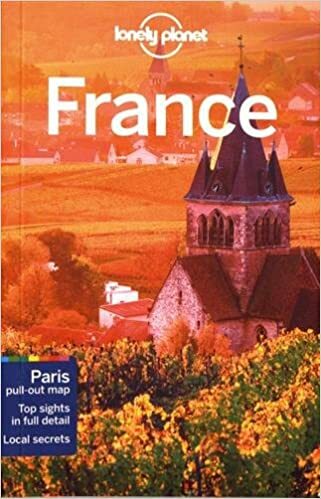 that includes 38 outstanding street journeys, from 2-day escapes to 2-week adventures, you will get misplaced one of the snowcapped Alps or flavor your method round Champagnes hallowed vineyards, all along with your depended on commute spouse. Finally, the French state generally portrays itself as pursuing an immigration policy somewhere between the German and Swedish models. While France has had a longer history (since the beginning of the twentieth century) of organized recruitment of colonial labor, it was never able to set up a state-directed guest worker system in the post–World War II era. Instead, its employers tended to directly recruit workers themselves or use undocumented laborers (les sans-papiers). Furthermore, while at first relying on employers to provide housing and services for the putatively temporary workers, the government later responded to the growth of permanent shantytowns (bidonvilles) on the outskirts of its metropolises with the building of public housing (HLM) blocks and the establishment of various “immigrant” services. This anti-foreigner climate was reinforced by the government’s 1993 tightening of the Basic Law’s liberal Article 16 that formerly gave right of political asylum to all those reaching Germany. In this respect, if Germany is indeed moving toward a transnationally generalized jus soli approach to migrant incorporation (Soysal 1994), it has not relinquished the paramount distinction between Volksdeutch and others. By contrast, Britain and Sweden appear to be diametrically opposed to Germany. While the two countries differ greatly in terms of the role of the state in migrant incorporation (Soysal 1994: 66–75), neither of them pursued a formalized system of worker recruitment nor tied immigration policy directly to economic concerns (Hammar 1985). While both countries have allowed the ethnic groups to develop more or less independently, Sweden has progressed beyond Britain in taking active, state-directed measures to either teach immigrant languages in public schools or establish special schools for immigrant children. Finally, both countries have pursued relatively liberal enfranchisement programs, granting many non-citizens voting rights in local, state, and even, in the case of Britain, national elections after only three to five years of residence.